The community has spoken. It's time to explore Schools as Community Hubs. It's time to build a model and with it comes a need to choose one community to set the example. The Province has stated that the decision to close community schools lies with local Boards. Until recently, City Councillors stated that school issues were none of their business. Local School Boards blame the Province for limiting community partnership guidelines and a broken funding formula that was put in place by the Mike Harris government. For many people in this province, education is the number one election issue. After all, our children are our future and the quality of their education will define many generations to come. Accommodation Review Committee (ARC) processes have also identified the importance and value of local schools to their underlying communities so the effect of closures is far reaching. 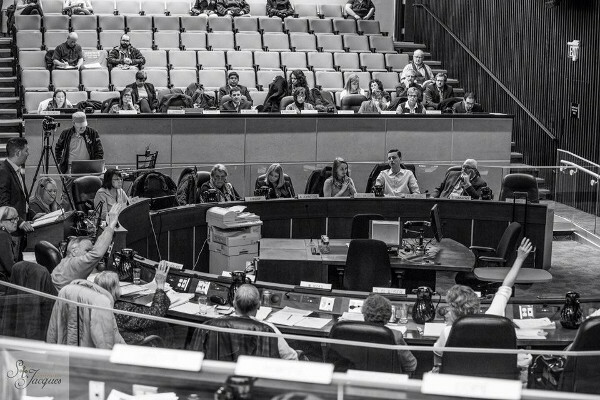 Citizens can place blame here or there, but if we band together with a solid plan of our own, how can any level of government balk at a budget that works and a plan unanimously supported by the community? We can wait on provincial and municipal elections in the hope that a change of guard will fix what's broken; or we can stand together, realizing money from all levels of government doesn't grow on money trees, and come up with a plan for all of our schools that is best for children, the underlying communities of these central hubs, while still meeting yearly operating budget goals either in line with the provincial budget, or down to a level all provincial parties would approve as an acceptable value. Notwithstanding some of the limits that the Province puts on local communities where community partnerships within schools are concerned, the truth of the matter is that the Province still does encourage partnerships. At a bare minimum, our Board should be maximizing what is permitted under the current Ministry guidelines. During the recent elementary ARC delegations, we heard a few mentions of the Schools as Community Hubs concept, including Ward 1 Councillor Brian McHattie mentioning the board renting out Central Elementary School for a time while we waited for the demographics to change. The same was true for Highview Elementary School as well. In both instances, those demographics did change and now these schools and their underlying communities are alive with children again. Schools as hubs aside, we haven't once through all of these closures talked about renting out space to allow for a demographic shift? Councillor McHattie mentioned during the east elementary ARC last Monday, that the historic W.H. Ballard Public School was a good candidate to pursue community partnership options but with all the schools slated for closure, how do we chose one? There is one possible solution that the broader Hamilton community may support. We should reach out to every school community in Hamilton. We should ask them to engage the broader neighbourhoods - from those without children to seniors - asking them what their needs are with regards to their immediate surroundings. Is it a pool, a room to play cards with other neighbors, a kitchen to learn how to cook or access to sewing machines or woodworking tools? How about Yoga classes or a weekly friendly pickup basketball game in a nearby gym? How about social services or shopping needs? What if there were family services located in our schools or a post office even? What could your neighbourhoods use? In the case of Milgrove, how about the loss of a public library. Could one in the school become accessible to the entire community? We should enter this process with the current guidelines for community partnerships set out by the Province out of sight and out of mind. It's important for us to allow creativity to shine through and if we go in with a stringent set of rules, we will miss out on truly developing a plan in line with the community's needs and desires. It's important for the Province to see without prejudice, how local municipalities see the model for their neighbourhood schools supporting our changing needs. There are many documents on the Schools as Community Hubs concept including a definition of a true Community Hub. Take these documents, study them, and look at the individual needs of each school community. Once we have reviewed the documents, we can talk about our worries with regards to opening up your child's schools to the broader community. List them all and then, as a group, think of ways that would help us address those fears. Reach out to other school groups. Have them share their lists of community needs and fears as well. How do they propose addressing those concerns? These are the conversations all school communities deserve the time to have before we act on past decisions or finalize any new ARC plans. Communities deserve the opportunity to have a say in their local neighbourhoods and a big part of that discussion is our education facilities. As it stands now, the Board of Education seems to send out a form letter asking for community partnerships which school advocates have balked at, but why aren't we advertising this on a larger scale? Why don't we have a long list of local companies that would like to be a part of a HWDSB Community Partnership Collaborative? Membership doesn't have to mean a guarantee for partnership, but rather a collection of organizations big and small, that want to be a part of the solution if/when they can. Imagine having an office in your child's school. Lending a hand at the school during your breaks. Your daily commute is a walk across the street. With technology these days, our offices can literally be anywhere. The opportunities for partnerships and changing the way we make space and resources in our schools available to the surrounding neighbourhoods are endless. While we look at these opportunities in all of our schools, we could be testing out this model in one school. Although this school was included in one of our local ARCs, being a system school for special education, the argument was and still is that it shouldn't have been included when we didn't bring a system school on the other end of the spectrum to the Accommodation Review table. Parkview Secondary School is an opportunity for community partnership that could not only prove to be a model for Hamilton's Schools as Community Hubs, but perhaps even a self-sustaining facility. It could be an inspiration for the global school community and set a precedence both in special education circles and school districts being crippled by the closure of their community schools. It is the hope of many in this community that the former King George School, which is located in behind Parkview at 77 Gage Avenue North, will be fully designated under the Ontario Heritage Act. This means the plans for the New North School would go back to the drawing board. This could leave a couple of options for a Parkview as a Community Hub proposal. We could use the historic King George as a facility for this programming, or perhaps a designated Delta. Perhaps even, we could look across the street at the original proposed location of the New North school: the former Scott Park High School. As I see it, we have three institutions that have failed our community over the course of the past few years: the City of Hamilton, the Hamilton Tiger-Cats, and the Hamilton-Wentworth District School Board. The City and the Tiger-Cats have failed us in at least two ways. One, the failed stadium debate and two, that neither of these entities thought to purchase the former Scott Park High School themselves over ten years ago when they could have done so for just over half a million dollars. If this was purchased back then, the school likely would have been brought down for parking and the Cats wouldn't be scrambling for a few on-site parking spots as we await the completed construction of our new stadium. The Board has failed us in many ways including rushing to move Parkview Secondary early; detrimentally affecting our most vulnerable students, planning to build a high school on a small plot of land void of green space, a sports field, and amenities like a theatre, and by spending millions of dollars to expropriate a property they once cast off as surplus. Ideally, we would ask these three organizations to work with what this community gives them - the existing Scott Park. Repair water damage remove the asbestos, punch in some windows and work together to make the best out of what they are given with nobody to blame but their own lack of public consultation. So many of us have to live with our mistakes and make do with what we are given, so why should these three corporations be any different? Scott Park is right there and ready. Over the course of the summer, we could make necessary repairs and move the Parkview students across the street. Then you could demolish Parkview, create the needed parking, leaving King George for development as a fully designated heritage asset. This would leave us with three wonderful legacy's post Pan Am Games. A new 10 acre park that also addresses the loss of Brian Timmis soccer stadium, the preservation of a historical gem and the hope of a West Avenue type revitalization of King George, and a model for not only Schools as Community Hubs in our community, but one that specializes in the education and teaching of special education. Thousands in this community and other's across the province, have spoke in belief that we are making a grave mistake by closing Parkview and Mountain. So rather than simply close them, let's listen to these voices and dream about what it could be. Keep Parkview and Mountain as an option because all children deserve choices in how they receive their education. If we are going to offer systems education for children on the other end of the spectrum (Westmount), we need to offer the same for gifted children of differing definitions. Reach out to varying social services and ask them how having offices in this new school would benefit the children and their families. I already know some of them would love this opportunity but current community partnership limitations and hurdles make it a daunting if not impossible task. Would non-profits/organizations like the Geneva Centre or the Shining Through Centre, be interested in having an office/facilities located in this new hub? In-house training facilities for special educators perhaps both province and board wide. 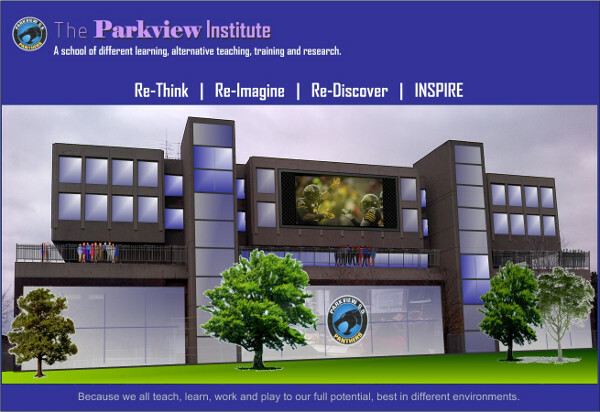 The Parkview Institute is the model for the smaller programs that exist in all local schools. The attached historic Jimmy Thompson Memorial, made accessible and including a newly attached seniors facility, would add a great deal to the school as community hub concept, and even allow us to scale down on the seniors centre design with us having a theatre, larger gyms, kitchens, shop facilities already in Scott Park. Mixing our seniors with these students would both provide local in-house role models/volunteers, but give seniors a sense of being able to give back and to see the big difference their influence has on these kids. This plan could also give back to another community that the City and Board of Education has failed, and that's Cathy Wever/Pinky Lewis whose funding for upgrades to Pinky Lewis were put on the back burner to the Scott Park Seniors Centre when the Wever community has been waiting patiently for these much needed community assets. Offer grade 8 students and beyond who have shown exceptional compassion to all students, leadership, and who volunteer in their communities, opportunities to attend special classes at this school. This could give exceptional students who would otherwise qualify for a Westmount type school, an opportunity to attend similar programming in the lower city, but at a school that specializes in special education looking for students that perhaps are seeking post-secondary careers in teaching, special education, psychology, social services, and so on. Create street facing storefront opportunities such as a coffee shop, a hair dresser, and a store to sell items created through the Exyte program. Create as many in-house co-op opportunities as possible through these many partnerships. A school such as this provides local volunteer opportunities for the Tiger-Cat players right next to where they practice and play all year round. If the Ti-Cats became partners in the re-development of King George, perhaps we could have a mix of affordable housing, and place the football and Hamilton Sports Hall of Fames and the Cats offices/shop within King George, fully investing themselves in the surrounding Education and Recreation district. The television on the side of the Scott Park/Parkview building and upstairs terrace area for gala's, awards ceremonies and such, make the Ticats partners in many Stadium District facilities and creates an environment both during home and away games, for people around the Hamilton Community to gather and celebrate this great Canadian sport who either can't afford to see a game at the new stadium, or ideally can't get a ticket because they are always sold old. Although we would not allow for parking on Scott Park field any more for the sake of the Scott Park Baseball Association, it could continue to be a place to tailgate and enjoy the view of the stadium, the escarpment, and the beautiful local architecture in a setting void of concrete. Choosing Parkview as our testing ground and model means we are exploring this option with a system school rather than one school in one community, which would once again pit school communities against one another as we have already done with these ARC processes. Children, educators, and community members have all chimed in on the importance of choice and how Parkview and Mountain have provided the best supports for them and those they love over the years. How after many years of failure and anguish for these children and their families going through our education system, Parkview and Mountain turned their lives around. Whatever your view of special education and 'inclusion', results speak for themselves. So let's take those results and continue to build on them rather than succumbing to the illusion that inclusion won't fail hundreds of our children. Let's finally show as a broader community, how much we love and care for our cities most vulnerable by listening to them and showing them how important they are to the vibrancy of our communities by investing time, money, and heart into a plan that might even benefit special children the world over through the example our city sets. Think big because when you spend some time with these children, you realize their hearts and desires are big. We simply haven't been good at allowing their spirits and potential to truly shine through. This is a space of good conversation and ideas. These children and children the province over need your voice. Ideas, concerns, fears, thoughts, jabs, criticisms. So Mr School Trustee, I am confused since the students were fighting to keep this school and the programs alive and here you are promoting something else. Have you not listened? Do you have the balls to stand for what those students really wanted opposed to what you are promoting to the detriment of the students? Scrap, I sit on their parent council and am 100% on board and in tune with what their needs and desires are. It's not the building they are worried about. It's a facility of their own and the continuing of this programming indefinitely. As of today the school is scheduled to close in June, is supposed to be demolished in July, and the students moved to Mountain for September. No new grade nine students will ever be admitted by the Boards current plan. I am not saying the above is necessarily the answer but what is important is continuous dialogue, ideas and more people helping to keep this cause in public discussion. I have friends with children at this school, I have a cousin who attends there, my late uncle attended there early in it's existence and I have read every single one of the comments on this petition so if I didn't personally believe in their cause, these comments speak for themselves. I've gotten to know the parents, kids, staff, and principal quite well. They all inspire me and they deserve our support.